The inaugural Stone Barns Entrepreneurship Intensive for Farmers will take place December 9 – 14, 2018. Meet the first cohort of 18 farmers who will take part in the program. Stacy has co-owned Broadturn Farm in Maine with her husband for the past 12 years. Driven initially by a desire to homestead and grow food to fulfill a social justice mission, Broadturn has evolved into a successful land-based business that still embodies that initial vision. Stacy focuses on creating good-paying jobs, keeping open lands open and working lands working, and building soils to last a lifetime. Broadturn started out as an organic vegetable CSA and is now a diverse business with multiple revenue streams that include wholesale certified organic produce, retail and wholesale specialty cut flowers, floral design, event hosting and a vibrant and popular children’s summer camp. 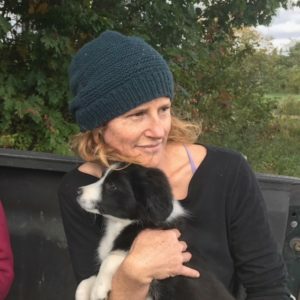 She serves on the Maine Organic Farmers and Gardeners Association and Maine Farmland Trust board of directors. Lisa has a thriving farming community and network around her Oak Spring Farm in Maryland. She previously helped to start a local farmers market and is on the cusp of accepting seven more acres from a neighbor to expand her diversified vegetable and poultry operation, while also adding a value-added component to her business. Oak Spring Farm has 80 CSA members and sells to two farmers markets as well as to a local food hub. Robert served six years in the U.S. Navy and separated in 2009, after having earned two Navy & Marine Corps Achievement Medals for leadership and personal achievement. He owns and operates Crooked Row Farm with his husband in Kentucky. They grew their diversified vegetable operation from half an acre to six acres of produce within five years, and have seen a rapid increase in demand for their products from local wholesale clients. In 2017 they added 140 beef cattle to further strengthen their farm’s viability. Crooked Row works with the University of Kentucky in a pilot program that aims to bring local, sustainably produced food to students and staff. 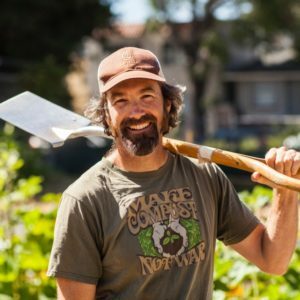 Ben is the Farmer and Director of Top Leaf Farms in Oakland, CA, where he farms in an urban context after 14 years of rural farming and stewardship. He also has a consulting business that provides expertise in regenerative agricultural models and with urban developments. 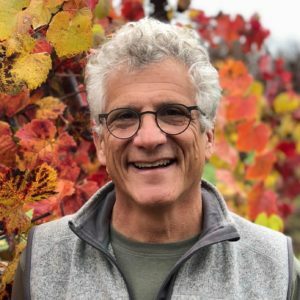 His farming career began at James Creek Farm in Carmel Valley; he then went on to work on several farms and centers including managing a nine-acre certified Organic farm at Oceansong in West Sonoma County. 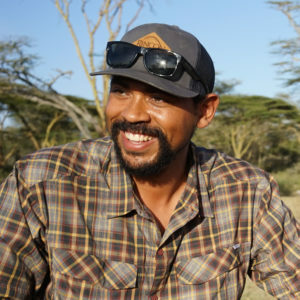 In 2007 he became an internationally registered Permaculture Teacher and has led dozens of seminars, courses and trainings in the US, Mexico and Costa Rica. His main farming passion is as a seed keeper, and he has worked closely with Native Seed Search, Rocky Mountain Seeds Alliance and Organic Seed Alliance. He also sits on the planning committee of the EcoFarm conference. 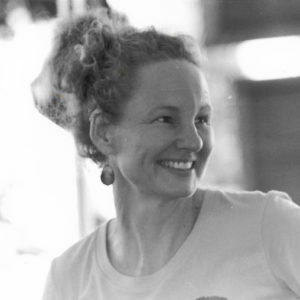 After growing up on a sheep farm in rural Vermont, Gillian launched a career that took her to the far ends of the earth, working as a teacher, human rights investigator, democracy advocate and management consultant in more than a dozen countries. In 2003, she and her husband abandoned successful careers in Toronto, packed up their two young children, and moved to a run-down farm outside of Creemore, Ontario. 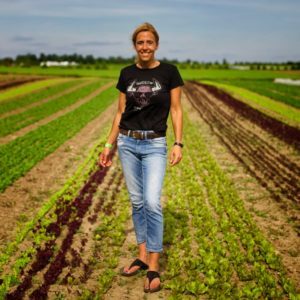 Since then, Gillian has built The New Farm into a thriving business and a leading light in the good food movement, providing organic vegetables to some of the best restaurants in Canada and raising more than a million dollars to make local, organic food accessible in low-income communities. Gillian has served as director of a number of prominent food corporations and is currently a member of the board of the Canadian Organic Growers. Gillian’s TEDx talk on the relationship between farming & climate change is available on YouTube. Hannah grew up among the fruit farms and sand dunes of coastal West Michigan, where she spent her time swimming in Lake Michigan, picking blueberries, and making pesto with her family. She earned a B.S. from Michigan State University in Sustainable Horticulture, and while in school worked for smallscale CSA farms, university organic production research, urban farms and school garden projects. She also helped manage the University’s food waste composting program. After school, she joined the apprenticeship program at Stone Barns Center, where she spent a season as a cut flower apprentice. Then, following her time at Stone Barns, she converted a former horse pasture into a two-acre vegetable farm and CSA for the company WeWork. She is now building a new venture, Allora Farm & Flowers, with a fellow Stone Barns Center apprentice alumna. Michael is a serious innovator on his diversified vegetable farm, Great Day Gardens, in Virginia. 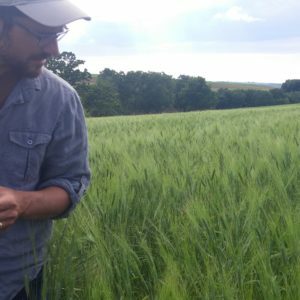 He prizes relationships with regional grain growers, and this work has resulted in the Common Grain Alliance, a consortium of bakers, millers and farmers working to “revive the mid-Atlantic grain shed.” He has formal training in Permaculture and is currently studying holistic livestock management on a nearby farm. He launched Great Day Gardens with his partner in Virginia; they seek to keep their farm balanced as a business, ecosystem, community gathering space and workplace. Rachel’s desire to farm was ignited during a semester off from college working on farms in France. In 2011, she began consulting for Sweetwater Spectrum, a nonprofit organization that operates a residential community and farm for adults with autism in Sonoma, CA. She consulted on the design and development of the urban farm and program and worked as the first farm manager, growing vegetables, microgreens and fruit trees. In 2015 she joined a new farm as manager, overseeing one-acre of produce and flowers, a flock of 200 egg-laying chickens, and the on-site farm stand and restaurant accounts. After the farm was damaged in the Sonoma County fires, she secured a lease on land in Napa County and relocated to what is now her Little Moon Farm, where she sells to 25 CSA members as well as restaurant and catering accounts. Nikiko is a partner in the acclaimed Masumoto Family Farm business. Though she grew up on her family’s peach farm, she came to farming herself through a journey that included a B.A. in Gender and Women’s Studies at UC Berkeley and a MA in Performance as Public Practice at UT Austin. 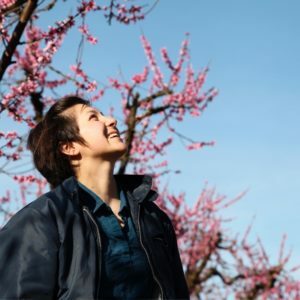 In an agricultural world where 86% of farmers are men, most landowners are white, and few are queer, she employs art and creativity to access her power as an organic farmer. 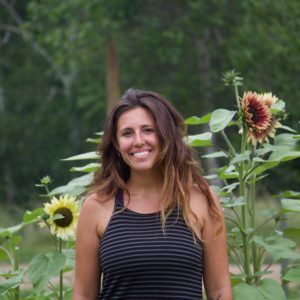 An emphasis on creating authentic, life-changing experiences has fueled her work on the farm and in her community, and also underpins her goal of developing more experiential opportunities for visitors that lead to deeper care and concern for a sustainable planet and an equitable world. 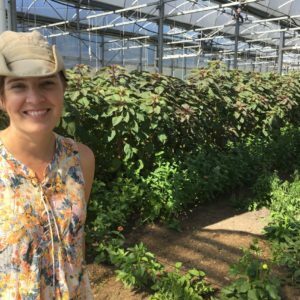 Susanna has served as the Crop Production Manager at Rivendale Farms for the past two years, where she was tasked with establishing a vision for and building up the farm’s vegetable program. Under her leadership, Rivendale doubled its CSA and restaurant sales compared to its first year. Previously, she worked at the nonprofit Grow Pittsburgh, managing urban farms and a greenhouse as the Director of Agricultural Production. Jennifer is the Director of Farm Entrepreneurship and Director of Marketing at the Liberty Prairie Foundation. 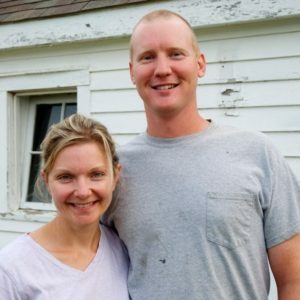 She is also the Co-Owner and Operator of Prairie Wind Family Farm with her husband, Jeff. Together they grow certified organic produce, raise hens on pasture, conduct on-farm research in regenerative practices and provide farmer mentoring. After a successful career in the professional marketing and consulting world, Jennifer came to farming after determining that growing good food was the most tangible way she could make a difference in the world. Year-round, her business serves a medium-sized CSA, farmers market and local restaurants. 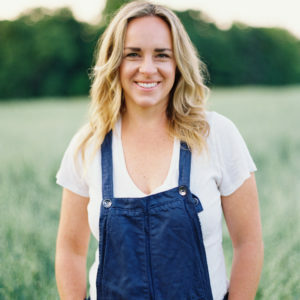 Lauren is the owner of Bloomsbury Farm outside of Nashville, Tennessee, where she operates a 300-member CSA program and also supplies to farmers markets and wholesalers. She is a former social worker who is very attentive to the relationships she creates with her employees and her community. 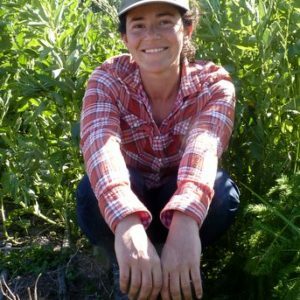 She is focused on incorporating organic practices in her operation and is working to build a robust set of inspirational program offerings on her farm. Daniella is Co-Leader of the farmer-run nonprofit Armonía en la Montaña in Puerto Rico and works at one of it’s farms, Siembra Tres Vidas. 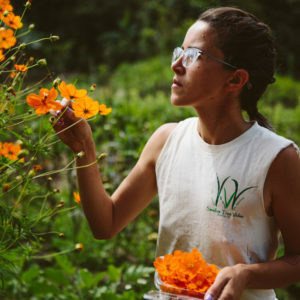 She farms to build community and strives to make produce affordable to low-income communities in the mountains of Puerto Rico. She follows in the footsteps of her late mother, who started the small organic farm in response to global warming and increased awareness in human and environmental health. Daniella took over the day-to-day operations of her mother’s farm and realized how critical agriculture and food sovereignty are, particularly on an island that imports 95% of its food. Her recent experiments include work with microorganisms and microrhizomes. 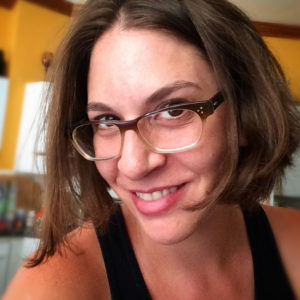 Jen is an urban farmer in Chicago who specializes in providing specialty crops to leading chefs in the area. She is particularly passionate about trialing new seed varieties, and also provides consulting services to urban farm startups and rooftop farms. After graduating from the Windy City Harvest program in Chicago, she was the Farm Director at Uncommon Ground, one of the first restaurants in the country with a rooftop farm; this experience inspired her to bring farms and gardens in closer proximity to chefs and diners throughout the city. Jim has owned Red Shirt Farm in Berkshire County, MA for the past six years. He knew he wanted to be a farmer when he was 18, but had to wait 36 years to realize his dream – hence “red shirt.” He specializes in growing heirloom vegetables and raising heritage livestock. 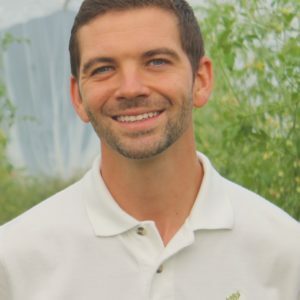 As a former teacher and administrator, he is passionate about providing educational opportunities for his community and has worked to support at-risk youth and farm interns on his farm. Red Shirt practices diversified sustainable agriculture and includes vegetables, eggs, turkeys, chickens and pigs. Jim has a CSA program and supplies to a local farmers market and wholesale accounts. Jesse has been a partner at Casitas Valley Farm for the past five years, building a multi-enterprise system on 50 acres near Carpinteria, CA. He was instrumental in growing the business to include an artisan cheesemaking operation, pasture-raised pigs, chickens, ducks and turkeys, 20-acres of perennial orchards, a bio-intensive market garden and a nursery operation. In addition, his team built an online food hub to service local restaurants and food service providers. Their farm hosted Permaculture Certification courses and workshops, weddings, farm dinners and school tours. The land was recently sold, and Jesse has now turned his attention to the White Buffalo Land Trust, a new enterprise that is focused on developing regenerative systems to support regional agriculture with a focus on soil health, water resources, biodiversity and farmer livelihoods. 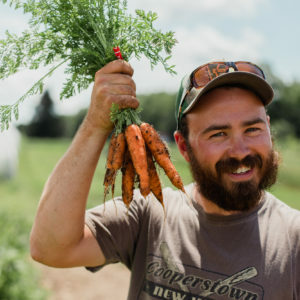 After having worked as a cook at several restaurants in New York City, John has co-managed an 800-acre organic farm in southwest Wisconsin for the past three years. He and his wife Halee are working on a transition plan to take on ownership of the farm over the next decade. They grow a wide variety of grains for food and feed, including ancient grains like spelt and emmer, buckwheat, dry edible beans and open-pollinated corn. They are also developing multi-year rotations that prioritize soil health and biodiversity while minimizing tillage. He is part of a USDA Conservation Innovation Grant working towards the establishment of a farmer-owned grain mill. 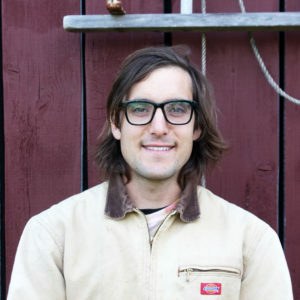 Ben is the Co-Owner of Bumbleroot Organic Farm in Maine, a diversified flower, vegetable and herb farm now in its fourth year. Bumbleroot operates a 120-member CSA, serves three weekly farmers markets, and works with twenty restaurants in the Portland area. After graduating from the University of Vermont with a B.A. in philosophy, Ben worked on a cattle ranch in California that practices holistic land management and later helped develop the livestock program at Cure Organic Farm. Ben is on the steering committee for the Saco Farmers’ Market and is Treasurer of the Kittery Community Market. Along with other young farmers in the area, Ben and his wife co-founded the Southern Maine Young Farmers Coalition, a chapter of the National Young Farmers Coalition, and are active in advocating for young farmers in Maine. In 2018, Bumbleroot was awarded the Young Entrepreneurs of the Year Award for Maine by the Small Business Administration. Recipient of the 2010 Oslo Business for Peace Award, William (Will) Rosenzweig is an internationally recognized entrepreneur, educator and an avid gardener. Will has spent more than 25 years cultivating thriving startups while teaching and mentoring mission-driven entrepreneurs around the world. Will serves as a Senior Advisor to Generation Investment Management, a public and growth equity practice chaired by Al Gore. Will was founding CEO (and Minister of Progress) of The Republic of Tea and co-author of The Republic of Tea: How an Idea Becomes a Business, which was named one of the 100 Best Business Books of All Time. Will has served on the professional faculty of the Haas School of Business at UC Berkeley since 1999, where he is a Social Impact Fellow. He currently leads Food Innovation Studio, a cross-disciplinary graduate innovation course, and Edible Education 101 with Alice Waters. Will is also managing partner of Physic Ventures. In 2015, Will founded and was named Dean of The Food Business School at The Culinary Institute of America and in 2016, he was named one of seven people shaping the Future of Food by Bon Appétit magazine. Adrian helps companies build sustainable and regenerative business models and is also a lecturer at Berkeley Haas on food innovation. 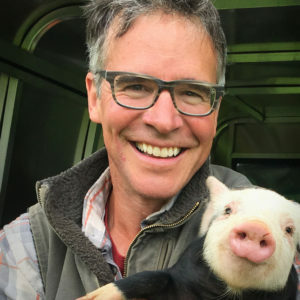 He has worked at Patagonia’s venture capital arm, Tin Shed Ventures, on developing a standard for Regenerative Organic Agriculture and exploring Regenerative Organic Land Funds. 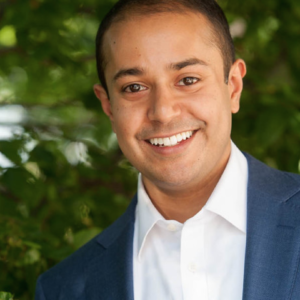 He is a graduate of Berkeley Haas’ MBA program, where he was a portfolio manager of the Haas Socially Responsible Investment Fund, a member of the Center for Responsible Business’ Student Advisory Board, and co-taught a speaker series on Transformations in the Food Industry. Prior to Haas Adrian worked at Morgan Stanley for six years and helped long-time horizon investors manage their asset allocations. Adrian received a B.A. in English from Williams College, studied English literature at Exeter College, Oxford University and holds the Chartered Financial Analyst designation. He’s an avid chef, backyard farmer and budding yogi.